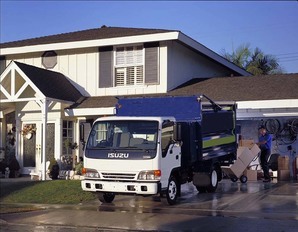 Phoenix Junk Hauling is the top Phoenix, AZ area for home furniture removal. For many years, homeowners have come to rely on us for immediate responses to getting unwanted furniture out of their residences. Our movers are insured, and we will dispatch a skilled team any time you need any of our furniture removal or junk hauling services. We know that furniture removal can be large or small projects. This is why we have tools and equipment to handle any size job. Even before we arrive at your residential property, we have all the information we need to take care of removing the furniture from your home the right way, saving you time and money. We have a solid reputation with Phoenix, AZ residents that spans over 10 years. Our business has perfected the art of knowing what our customers want and need. Whether you are looking to get rid of a couple of chairs, or the furniture in your entire home, we will help. 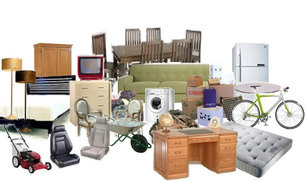 Phoenix Junk Hauling will help you with furniture removal, as well as recycling your furniture items. Our aim is for your home to look clean and safe. Many residents in the Phoenix, AZ area rely on us to assist in keeping their property neat and junk-free. We started our business several years ago, and we have flourished into a home furniture removal business that services our customers with personal and efficient work ethic and standards. We will remove your furniture and help you get that peace of mind that comes from knowing your home is neat. Simply put, we give you a neat and completely satisfying job. To us, there is nothing better than a happy customer. We do more than just get our customers get old furniture out of our customers’ homes. ​We help anyone who calls on us. We are a full-service junk hauling service business, and it pleases us to assist our customers when they need us the most. When you receive our furniture removal service, we inform you about what we are doing. We believe the more of our customers know about what is going on with their furniture removal job, the better we feel about satisfying you. There is no job too big or small for us to tackle. Our work is excellent, and our reputation is impeccable. While other junk removal businesses have come and gone, we have stayed consistent, and we continue to provide outstanding services and cost-effective prices. If you are looking for a home furniture removal that delivers quality workmanship in the Phoenix, AZ area, get in touch with Phoenix Junk Hauling.